When is the right time to get a second dog? As a dog trainer for several years, this is a question I get asked a lot! Being as I recently adopted another dog, I thought it fitting to approach the topic and what I thought long and hard about before adding to my pack. If you are contemplating adding another four-legged member to your pack there are several things to consider. First let me be clear, dogs are not collectors items! They are living beings with needs that require fulfilling every day, not just when you feel like it. The needs of a dog are simple but when you have more than one dog it does mean you must have more time. A dog needs EXERCISE, DISCIPLINE and AFFECTION. Dogs also require work, and in some cases lots of it, to properly train. Yes, training is a must, even if you already have another dog. Your first dog is not going to do all the hard work for you. More often than not, bad behaviours rub off on well behaved dogs not the other way around. Yesterday I ran an entire workshop dedicated to helping owners improve their walk with their dog. It was incredible how quickly we saw a transformation with the dogs and humans. Changing how you walk with your dog can dramatically change your relationship with your pet. Most clients expressed frustration, fear, and embarrassment when it came to taking their dog out, resulting in shorter and less frequent walks, which lead to behavioural problems with their dogs. 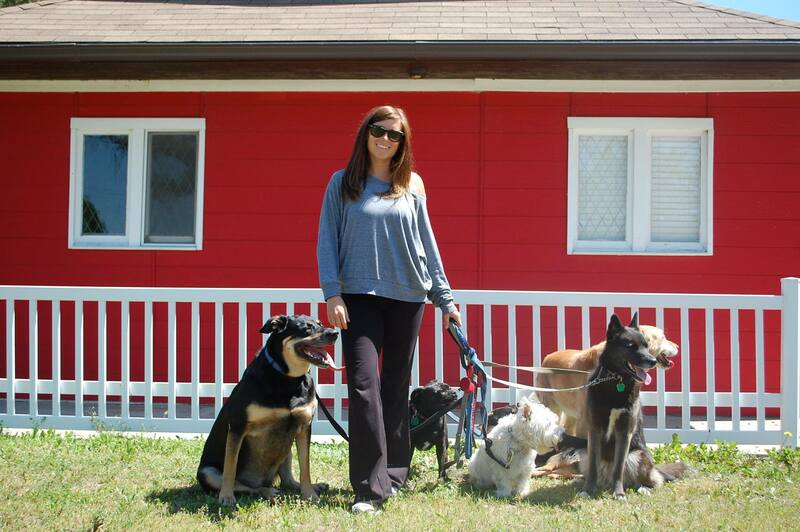 Aggression and leash reactivity was the most common issue in all that attended the class. Whether the dog was big or small it didn’t matter, they were all walking in correctly with the dog in front and their owners not showing any leadership, which made them react to everything on their walk as if it were a threat. Here’s a video of the before and after. This is already minutes in and much improved from when the dogs first arrived. The walk is something you cannot skip. It is a crucial time to bond with your dog, gives your furry friend a healthy way to get rid of pent-up energy, and when done properly (you walking in front with your dog beside or behind) affirms your role as Pack Leader. Backyard time is not a substitute. A dog only given backyard time is unfulfilled and bored and guaranteed will find other ways to release their frustrations. It doesn’t seem all that different from solitary confinement in prison, where the prisoner gets 1 hour rain or shine to be by themselves in the yard. Fun right? All dogs no matter what their age, breed or energy level need daily exercise. Low energy dogs need at least a 45 minute walk, Medium energy 1 hour and High energy dogs require 1.5 – 2 hour walks. Wake up an hour early!!! Add time to your day and get the walk done first thing when you are recharged and energized. Walking the correct way with your dog will help you clear your mind, de-stress, and prepare for the day. Don’t leave the walk until the end of the day when you are tired and unmotivated. More likely than not you’ll just end up sitting down and to have dinner and relax. View it as your workout. Pick up the pace or get some ankle weights to get your heart rate going and it can sub for the gym. Drive less! Going to the corner store? Dropping the kids at school? Meeting a friend for coffee? Why not walk there with the dog? The perfect way to include the dog while doing something you would ordinarily do. Make your walks more interesting! It gets boring walking the same route. Switch it up! Go new places! Jump in your car and find a cool place to discover. Have Fun!!!! Start a walking club. Guaranteed you have friends with dogs or there are dogs in your neighbourhood. This is mutually beneficial because walking with other dogs will help socialize your dog and walking with other people daily will hold you accountable. Make more out of shorter walks but adding an extra element, like a knapsack, to help tire your dog. This fulfills the dog physically by adding weight but also psychologically because the dog feels she has a job to do. Avoid the urge to walk at times you won’t encounter other dogs. If you are walking properly your dog’s reactivity will get better. However, if you still practice avoidance your dog will not be able to socialize so the behaviour will stay the same or get worse. If all else fails hire a dog walker. If you cannot fulfill your dogs exercise needs, you must invest in a service that can provide a walk for your dog. Everyone has a busy schedule but if you really can’t add a walk into your lifestyle you need to ensure your dog gets exercised through another means. Otherwise your dog’s behavioural issues are here to stay. It’s Monday morning and after a lovely weekend together you are running late for work so you quickly give the dog a 10 minute jog around the block, feed him and tell him “mommy will be back soon” while giving him lots of hugs and kisses as he jumps up, spins in circles, and tries to squeeze through the door with you. Sound like your morning? By far the most common issue among my clients is separation anxiety. This problem behaviour can develop at any time with dogs and can be tricky to fix. Issues like aggression can often be remedied faster than separation anxiety, which can be deep routed. So why do some dogs develop this anxiety? There are several reasons but a main one is that it is unnatural for pack members to just up and leave on their own. Dogs in the wild migrate together and don’t just venture off independently. We typically worsen this already foreign behaviour by making a big production of leaving in the first place. We caudal and baby talk to our pets right before leaving not recognizing that the dog is already in a stressed state of mind. We rarely tire out our pups before leaving and almost never make sure they are relaxed once we go. Instead we blow kisses and pour affection onto our dogs when they are already anxious therefore rewarding the behaviour. What’s worse is we do the exact same when we return home. A dog who has not been properly exercised and is left in a stressed state will of course try to release some frustration by chewing baseboards or singing a song that never ends for your neighbours. 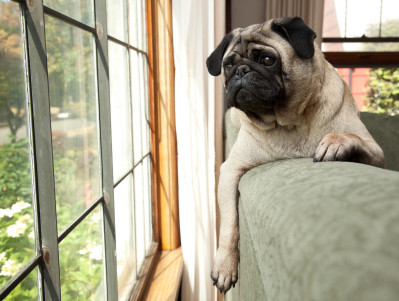 Here are my 7 helpful tips on what you can do to help curb your dog’s separation anxiety. Make sure your dog sees you as the pack leader. A dog who thinks he is in charge will be stressed when pack members are out of sight because he feels out of control. He worries that he cannot protect and provide guidance which leads to him act out. 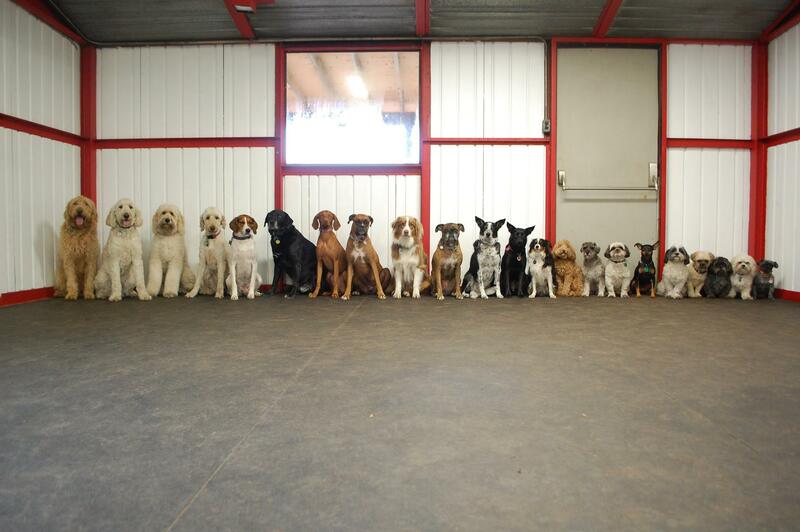 You and everyone in your family need to be the pack leader. Kids actually make great pack leaders as they don’t over think things and act instinctually. Exercise your dog well before leaving. Guess what? A 10-15 minute walk around the block doesn’t work. Take your dog somewhere new and take 45 mintes to an hour to truly work them out. Imagine being locked up all day with nothing to do when you are programmed to work. You’d get pretty bored and anxious too. Give your dog something fulfilling and fun to then leave them tired afterwards. Save the 15 minute walk for when you return. Make sure your dog is calm when you go. Putting your dog on his bed or better yet in a crate in a calm state will make leaving a breeze. They’ll be asleep and forgot you even left in no time. Do not rush this step, make sure the dog is fully calm and not just lying down. Desensitize your dog to things like grabbing your keys or putting on your shoes. Carry your keys around with you and jingle them and put shoes and a coat on 20 minutes before actually heading out. Do not make leaving and arriving home a dramatic occurrence. Remember Cesar Millan’s rules: No touch, no talk, no eye contact. Just act as if all is good and calmly leave. When you come home wait until your dog is calm and settled to show affection. If you build up emotions about coming and going your dog will always be stressed about it. Resist the urge to get another dog to keep yours company while you are gone. Chances are the new dog will develop the same separation anxiety and now you’ll just have 2 dogs destroying your house. Any time you have problem behaviours with a dog it is never ideal to add a new pack member until those issues have been resolved. Putting that stress on another dog is not fair and it is unlikely either dog will achieve balance. It’s that wonderful time of year again where the kids go back to school and everyone’s routine has changed. Your schedule is packed full with little to no time to even take a breath. You’ve got to pack lunches, get the kids to school, drop the kids off at soccer practice, pick them up, feed the family, and then ahhhhh sit down on the couch for a few minutes before going back to bed and doing it all over again tomorrow. Sound familiar? Fall is a busy time of year! It’s among the craziest for us at The Dog Haus as we constantly get last minute calls from clients begging us to take their dog because they have absolutely no time to exercise their mutt and he’s chewed the couch…again!!! Being so busy often means dog walks come last on the “to-do list.” Unfortunately for our pets this is not only frustrating but stressful. Suddenly everyone in the pack leaves for hours on end all day long and the dog is all alone with nothing to do. With so much stored up energy, they wander around, bored as hell, only to find a shoe that smells just like you so they carry it around and feeling frustrated release their excess energy by c hewing it to bits. This is not a blatant screw you, but pretty much the only way they have to burn energy and at the same time sooth themselves. When this happens, take a good hard look at how little time you may be spending with your pooch. I still remember when I first got Carmen she would go through the garbage any time she felt she didn’t get a long enough walk that day. It was sad and hard for me to realize that I really shouldn’t punish her whenever she did this, instead I took her feedback and would do better the next day. Keep in mind that dogs have very few means to communicate with us. Any time you notice some bizarre or naughty behaviour, pay attention to what may have changed in your dog’s life. Did someone move out and go to college? Did your work hours change meaning you don’t walk the dog as long? Are you too tired to take the dog out at night when you get home? Your dog is speaking up to say his/her needs have not been met lately. 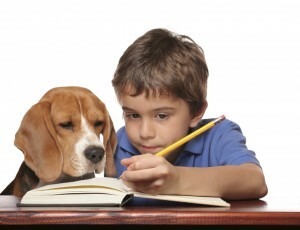 Some dogs experience depression and anxiety when the kids go back to school and their routine changes. It’s important that you not neglect your dog during this busy time so here are my suggestions to help you through this change. Tire your dog BEFORE dropping kids off at school and going to work. Better yet, walk your dog to school with the kids instead of driving – my personal favourite because I love getting two birds stoned at once 😉 plus it’s good for the environment! Use time with the dog as a stress reliever for you both – we all need to take time to relax which we rarely do. Come on a Meditation Walk with me to learn more on how to do this (next one is September 9th, 2018 10am at Hillside Park). Have fun together and play some games! Being with your dog should be rewarding to you both and play is a great way to bond. Redo some basic training – with everyone out of the house separation anxiety often creeps up. The best way to avoid this is to remind your dog of who is leader so that he doesn’t stress while you are away. It is also a way to provide mental stimulation and tire out your dog. 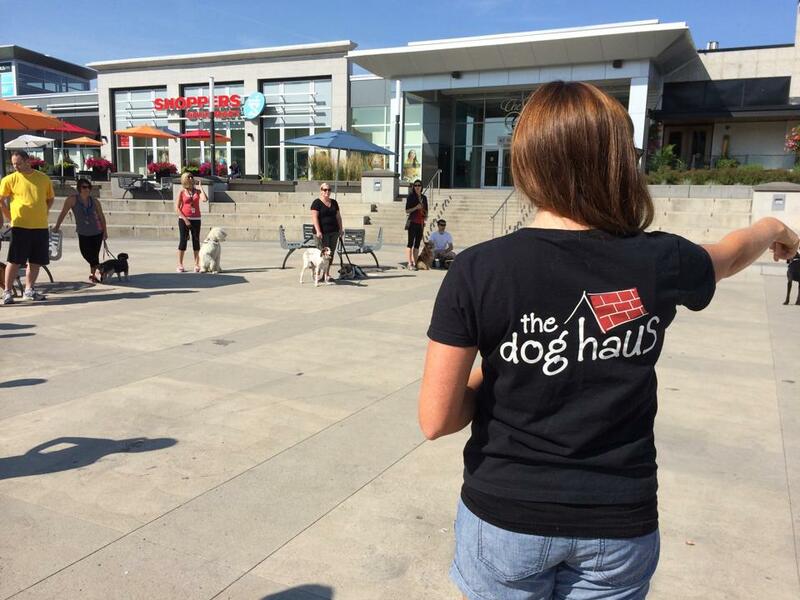 You can always sign up for Dog Haus Training Essentials to learn more on how to be your dog’s leader and provide them with the exercise, discipline and affection they need. 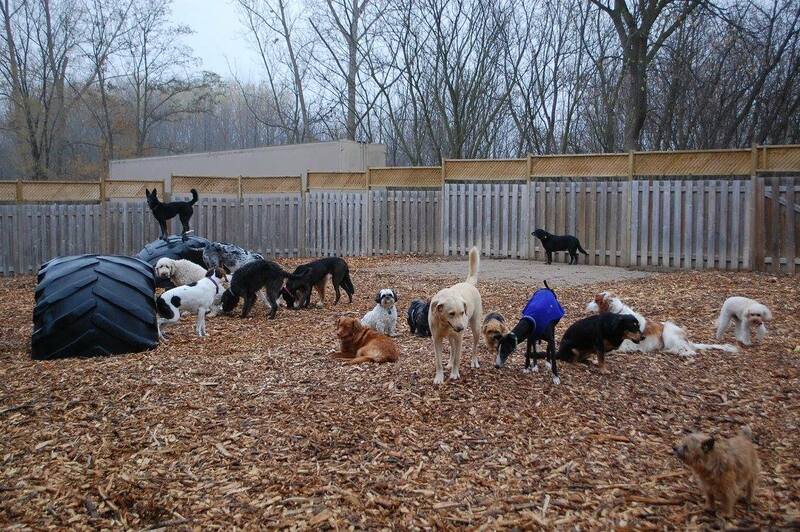 Bring your dog to The Dog Haus or another dog daycare that has full day training and socialization for your dog. That way your dog is out of the house so he cannot destroy things and is being fulfilled by getting exercise, socialization and mental stimulation. Hire a dog walker. If you are unable to walk your dog pay someone else to do it. Having a backyard is not enough. Dogs need to be walked everyday, without exception! Exhibit A: Can your dog sit? Lie down? Roll over? Shake a paw? Play dead? And do other cool tricks? Exhibit B: Does your dog wait patiently for food? Greet other dogs nicely? Not pull on leash, or jump on people, or go crazy when the doorbell rings? Which would you prefer Exhibit A or B? Which is more practical behaviour in real life scenarios? I’ve always wanted a dog I could take anywhere and would know just what was expected from her – almost telepathically as if we were psychically connected. Only 4 years ago I earned the trust and respect of a former street dog and accomplished exactly what I wanted in terms of training. Carmen is well liked by everyone and pretty much welcome everywhere, even technically places she’s not permitted to go, like cafes, clothing stores, patios, and even my mother’s house. I never cared much about teaching Carmen cool tricks. What good is knowing how to play dead if you don’t know what “stop” or “come” means, which are actually life saving commands that every dog should know? I wanted a dog who listened in order to keep her safe. It’s rather simple. Training to me is having a dog that looks to you for guidance on how to behave in every circumstance. Just like how we raise our kids, I want a dog who knows how to behave properly even in an overwhelming environment or when there are bad influences around. More over, I expect that even when I am not present. Behaviour is engrained, whereas obedience implies there is someone there to give the command. An obedient dog may “sit” and wait 2 seconds before you reward them with a treat, or throwing a ball or even receiving a pat on the head, but the mind is still active, typically in an excited or anxious state. A well behaved, balanced dog, will sit calmly and wait without fixation on what comes next. An obedient dog may know the basic commands but the question is do they follow them because they robotically know to go through the motions to get the reward? Obedience training focuses on the body. Is the body doing what I asked? Rarely do we look at the state of mind of the dog behind the action. Behaviour looks at both the body and the mind, and only rewards calm energy. I’m sure you’ve all seen it at the daycare when we wait for the dog to sit before taking them out to the yard, but pay close attention next time. We wait beyond that, until both the body AND mind relaxes. That is what we reward with play! Just remember: A calm dog is a balanced dog and a balanced dog is a behaved dog. And just like Carmen, a well behaved dog is welcome any where! That’s my style of training. Want to learn more? Contact me for behaviour based training that will work for you and your dog.